Dear Chase Bank. It's Over. Law enforcement efforts to stop the water protectors at Standing Rock have taken a new turn: in the midst of the most severe weather since the camps were established, North Dakota Governor Jack Dalrymple has issued an "emergency evacuation order" of the largest camp, and is threatening to stop food and building materials from reaching the encampment. The water protectors have said they will not be moved off the land that is disputed under the Fort Laramie Treaty. Many thousands, from around the country and beyond, are siding with the water protectors, and this week, thousands of veterans plan to arrive to "stand with Standing Rock." This nonviolent movement isn't budging in its efforts to stop the Dakota Access Pipeline, a 1,172-mile proposed pipeline designed to transport a half million barrels of crude oil a day. The water protectors say the pipeline threatens drinking water for the nearby tribes and for millions who live downstream on the Missouri River. 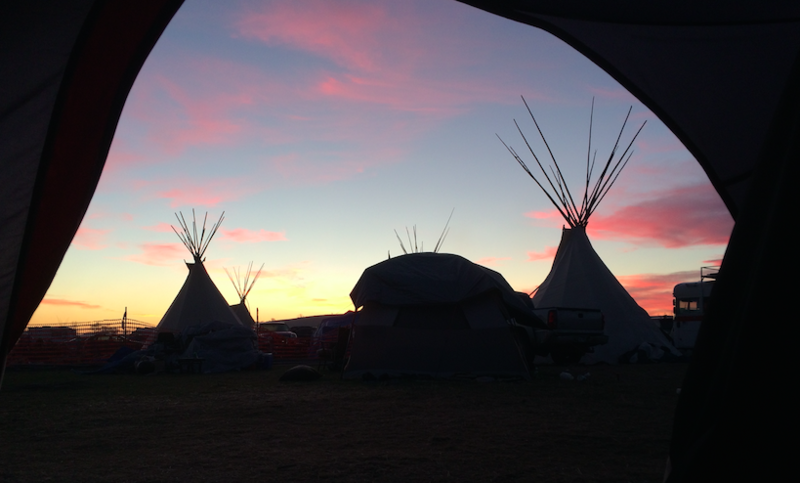 The Standing Rock Tribe, hundreds of other tribes, and hundreds of thousands of individuals oppose the pipeline, which has also dug up sacred sites and ancestral burial grounds. The indigenous leaders of this movement called on supporters from across the country to join them in peaceful camps, which have been occupied since last April. So what can others do today? Some are heading to North Dakota to join the thousands already there. Others are finding local actions, and many are breaking up with their DAPL-supporting banks (Here is a list of those bankrolling the Dakota Access Pipeline and how to contact them). Thank you for your kind offer of a new savings and checking account. I understand you are funding the DAPL pipeline, being constructed by Energy Transfer Partners from North Dakota to Illinois. Because of that, I will not be taking you up on your kind offer, and I will instead be closing my one existing account. I don't want to do business with a bank that supports a project that threatens the drinking water and way of life of Native Americans, and that is being forced on them in spite of their repeated, nonviolent insistence that they don't want it. I have sent in my last payment, and will close my account as soon as I have confirmed that you received it. Meanwhile, I hope you will check your conscience and consider what it means to continue a legacy of discounting Native peoples and their concerns. This pipeline was moved from the Bismarck area because of threats to drinking water. 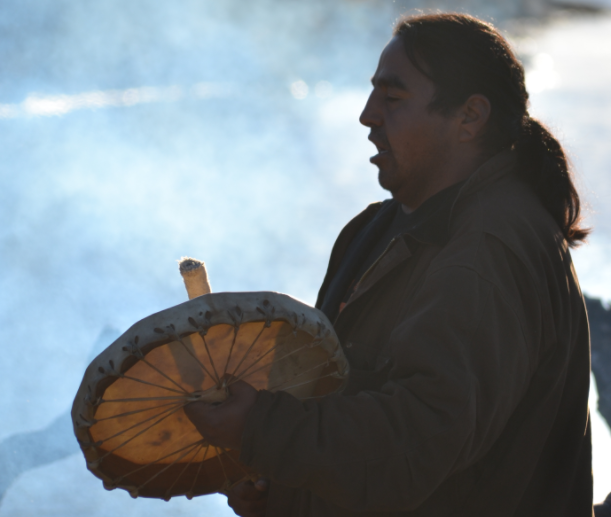 Why is it OK, then, to threaten Native people's water? 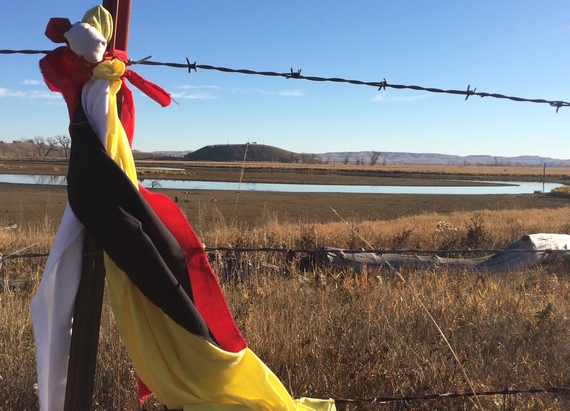 Why is it OK for pipeline construction to desecrate graveyards and other sacred sites? I am also concerned about the Iowa farmers who are likewise being forced by eminent domain to allow this corporation to cut through their lands with a risky pipeline. If you withdraw support from DAPL, of course I will reconsider closing my account. And you might sleep better, knowing you have moved over to the right side of history. Sarah van Gelder is Co-Founder and Editor at Large of YES! Magazine, and author of The Revolution Where You Live: Stories from a 12,000 Mile Journey Through a New America (Berrett-Koehler, 2017). Follow her on Twitter and at her blog.